Find a Florist by State has listings of florist shops all across the globe. All you have to do is research for the best florist shop in your state where you want the delivery of the flowers and then search accordingly. You can express all your love and affection to your loved ones on the special occasions by ordering the best and the freshest flowers. Just check one of our many options on the site Floral Yellow Pages. 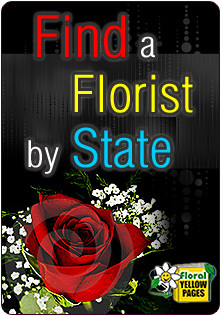 Find a Florist by State is one of the main way customers like to search. When you first visit our site your see several options for searching for a florist. These options are the best tools to use because they get right to the point. Showing you the fastest results possible. 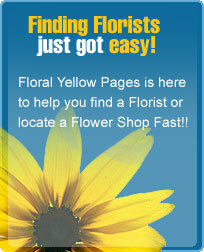 No search engine or directory can compare when looking for florists on Floral Yellow Pages.